As human beings, we all want security. And this puts us off taking stock trading as a full-time profession. Filled with too much of fluctuations and uncertainties, only a handful of people dare to give up their safe jobs to venture this path. Even after so many years and countless success stories, still, trading is a “side income” for majority. “It’s heaven, really. The rewards are seamless if you’re smart,” says a professional who trades full-time. Of course, when hit all the chords perfectly, trading full-time brings a lot of money. And this is one of the biggest factors that tempt many to take this rather unconventional lifestyle. Read: How much money you can make as a stock trader? Unlike the case is with other jobs and career investments, the rewards from trading come quick. You don’t really have to wait for years and months—and even weeks. A full-time trader enjoys complete freedom to plan, design strategies and make implementations as and when desired. You invest where, when and how you want. No overheads. Even when full-time, you don’t trade 24/7. Avoiding impatience and waiting for things to shape-up is a big part of your strategy. In middle of these waitings are ample of leisure time. As clichéd as the idea of ‘be your own boss’ is, this is a big perk for full-time traders. You’re not answerable to anyone—neither do you bear the burden of overlooking others. You are like a free bird, with flexible schedule and location-independency, flying at your own will. Stock trading isn’t easy—even with all the “hacks” available on web. There’s a lot to learn and improve, which is a life-long process. This learning curve is even longer for all those who are impatient. Yes, stock trading is emotionally strenuous. 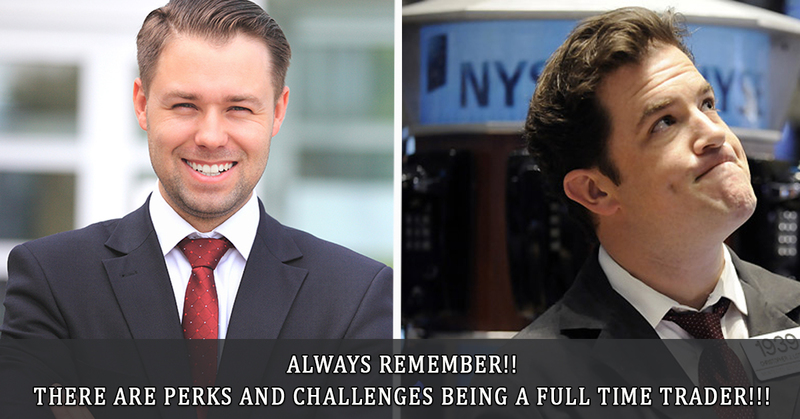 With all that goes in the market, keeping up with them and reacting accordingly – taking so many wins and losses – eventually it gets too stressful. If you aren’t someone who’s responsible and self-answerable, full-time trading isn’t a right suit for you. Because it requires a lot more discipline than what’s evident. This goes without saying that stock trading is risky. 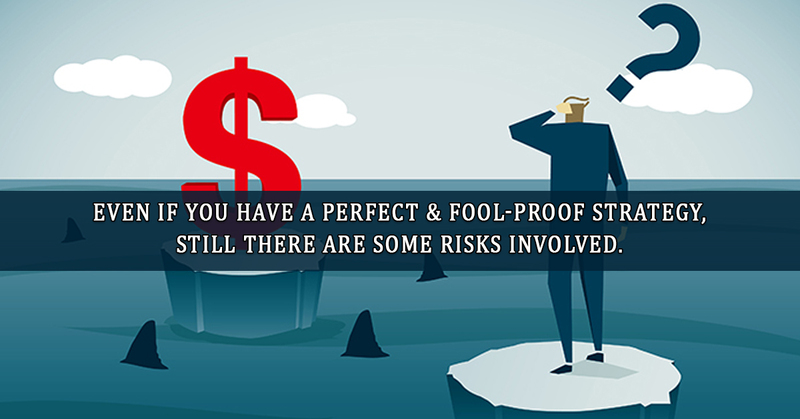 Even when you think you have a perfect and fool-proof strategy, there’s always some sort of risks involved. Full-time traders spend countless hours in front of their computer screen, working with apps, for technical analysis and to predict market movements. It requires a lot of hard work. Are you planning to go full-time? Don’t rush. There’s a lot to this than what meet our eyes. Factor every aspect involved here, think thoroughly and then move forward carefully.